The context of this is that Apple blocked Facebook's developer certificate in response to its 'research app' earlier this week and just a day after Google disabled its Screenwise Meter App. The central issue is that these apps are recording individuals' use of their iPhone & iPad devices and providing this data to Facebook and Google respectively. While recording and sending data about device use is a matter of an individual signing up to T&Cs that include accepting this, Facebook and Google have been using the Enterprise App distribution system on iOS. Enterprise App distribution is specifically for large organisations to distribute apps within their employee / partner eco-system. Apple specifically bans the use of enterprise app distribution to reach consumers with Apps. When Apple commented on Facebook’s certificate removal, Apple did warn that “any developer using their enterprise certificates to distribute apps to consumers will have their certificates revoked.” This has now been applied to Google. There will be different opinions about why Apple may have blocked Google and Facebook in this way. They have not made a big announcement about these actions but many will see it as a way of highlighting continuing issues with the use of people's personal data. Have all of the people who have had their device usage recorded and analysed made completely informed consent? Ask yourself when was the last time you read a terms and conditions document top to bottom thoroughly? Getting a $20 gift card or a small monthly payment a good deal to surrender all of your online data usage to one of these companies? If big tech companies take too many liberties with consumer's data they may find that they actually end up in a worse position. People are talking about deleting their Facebook profiles and the adoption of privacy protecting web browsers like Brave that uses blockchain shows some consumers have had enough of being tracked and analysed. From a marketing viewpoint those businesses that use profiling and segmentation data legitimately and carefully could get penalised as their ability to do this is diminished. We are working with many businesses that are spending large amounts on paid traffic to de-risk their sales and lead generation models. Only time will tell as to how far the push-back from consumers will impact digital marketeers and their ability to maximise return through tight targeting. 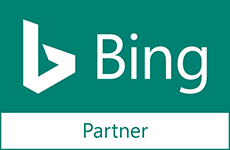 However, it may be more open profile targeting such as Bing's use of LinkedIn data will see budgets move from opaque AI based targeting.